The Carabao is the national animal of the Philippines. It symbolizes, strength, power, efficiency, perseverance and most of all, hardwork. That is my perception of how a carabao is. To many, it’s more than just a farmer’s helper in the field. The carabao has always given its best for the Filipino farmer. It is the alternative to a tractor, the alternative to a machine-powered plow, never complaining and always at the “mercy” of its master. The “beast of burden”, as the Filipinos loved to call a carabao, is in fact the “filipino’s best friend”. It can be relied upon to work incessantly. The beast helps to feed, and it becomes itself a good source of food for the Filipinos. At this present stage of the economic situations the Carabao is milk and meat for the Philippines. Carabeef is the best meat choice in-place of the usual cow’s meat we devour for lunch or dinner. The Philippines may experience scarcity of other types of meat, but carabao’s meat will always be present. 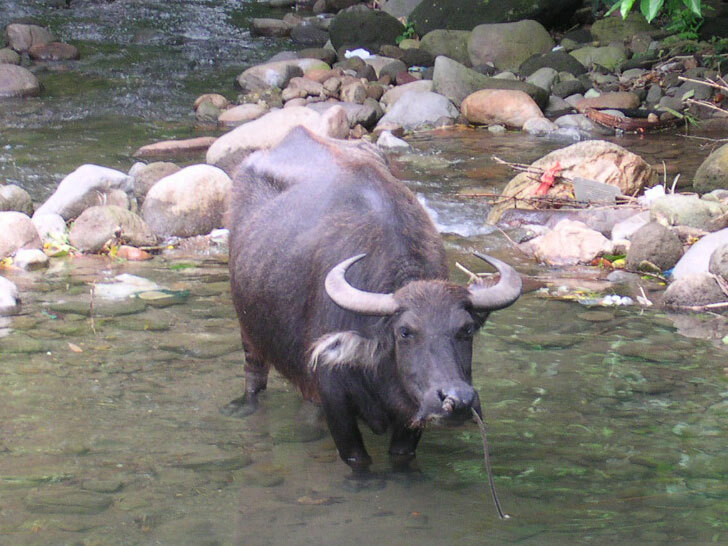 The name carabao is unique to the Philippines, but the creature itself is not. Elsewhere, English speakers call it by the generic name water buffalo. This animal is found in parts of Asia, from India eastward. It looks something like our cattle but has horns that curve back to form a crescent. It is a true buffalo, known to scientists as Bubalus bubalis, not the shaggy bison of North America. Back home, Filipinos do not seem to realize that Filipinos abroad work like the carabao, and those abroad do not realize that Filipinos back home, suffer like the carabaos. They’re subjected to constant test of their strength and power to surmount the hardships they face on a daily basis. Hardship not only on the financial aspect but as well on the social end. Filipinos back home suffer from natural calamities – floods, volcano eruptions, typhoons, earthquakes, etc., that most of Filipinos abroad do not suffer. At home, traffic literally “kills” the normal movement of local commerce and trade. Stress is manifested on the faces of pinoy’s back home. Health service is insufficient and education is weak. Filipinos abroad do not suffer these. Children abroad have sufficient means to experience a good life ahead, while a lot of children back home, have to wait for Christmas day to eat a good meal or receive a new toy, or new clothes. 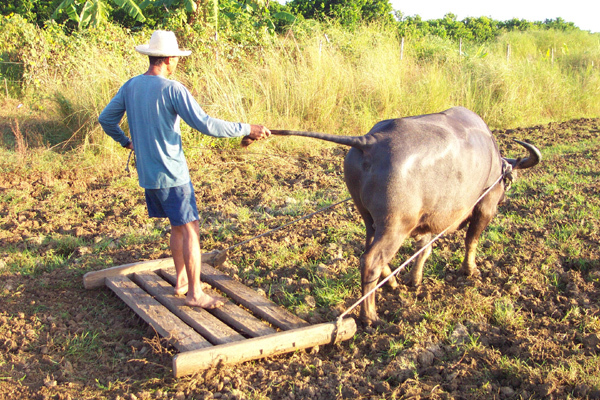 Both ways, Filipinos back home and abroad “work hard” like the carabao. But each of them experience in some ways a huge amount of hardship wherever they are, however, the difference lies perhaps in that Filipinos in the Philippines remain as the “beast of burden”, while Filipinos abroad have been converted to become the “beast with comfort”. Are we not at all “carabao’s” to a great extent?